As a client of Maher & Maher Law, you have not one, but two attorneys on your case at all times. Joe Maher stands ready to help good people in difficult times. Joe served three deployments in Iraq as Marine Corps Platoon Commander and Company Commander during his military service from 2002 to 2009. Joe led a rifle platoon in Fallujah in 2004 and 2005. He led a company in counterinsurgency operations along the Iraqi/Syrian border in 2008. The Marine Corps Association named Joe the 2008 Chambers award winner for leadership. Joe graduated from University of Denver Sturm College of Law in 2012. In law school he earned the STLA outstanding advocate award, the Hartje objective writing award, and the Reese persuasive writing award. Joe served as an El Paso County prosecutor from 2012 to 2016. He was appointed to a leadership role on the county court team where he mentored and trained other county court prosecutors. In this role, Joe gained significant trial experience in Driving Under the Influence and Domestic Violence cases. Joe was awarded the 2013 county court “Trial Hound” award. As a felony prosecutor, Joe tried major felony jury trials including vehicular homicide, first degree assault, attempted murder, aggravated robbery, drug distribution, and stalking. Joe was a member of the vehicular homicide team and represented the office on the El Paso County veterans court team. Joe is thankful for his wife and sons. He enjoys being a husband and father, physical exercise, and advocating for veterans. In addition to his law practice, Joe provides executive management for his family’s cattle ranch. Kimberly Maher has lived and worked in Colorado Springs for more than 13 years. She graduated from Purdue University with a B.A. in Political Science. Kimberly then moved to Washington D.C. where she served as a legislative assistant for a Florida congressman. She worked on the House Education and Labor Committee and aided in the reauthorization of the Higher Education Act. Kimberly then returned to Colorado and graduated from the University of Denver Sturm College of Law. 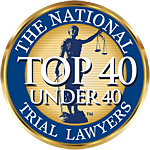 While in law school, Kimberly served as President of the Student Trial Lawyers Association. Kimberly worked for five years in two different Colorado jurisdictions as a deputy district attorney. During her tenure as a Deputy D.A. she was a member of the vehicular homicide team and prosecuted a wide range of criminal cases including but not limited to DUIs, traffic offenses, domestic violence, kidnapping, stalking, burglary, fraud and murder. As a former prosecutor, Kimberly understands what you are up against and will passionately advocate on your behalf to protect your rights and your future. Kimberly currently resides with her husband Joe and their sons in Colorado Springs. Callista is a novice to law, but is loving the challenge of learning something new. Callista loves finding ways to make the office run more smoothly and efficiently, making your interaction with Maher and Maher Law, PC as pleasant as possible. Callista earned her Bachelor of Science in Business Administration degree from Colorado Christian University, as well as a Master of Public Administration from the University of Colorado. Before joining the team, she spent six years writing, awarding and administering contracts for the United States Geological Survey. Callista resides in Colorado Springs with her husband and son. When she isn’t spending time with them, you can find her knitting for various charity knitting groups.